As new figures are released revealing the number of grandparents in the UK providing regular childcare, we take a look at the global picture. Two-fifths of the UK’s grandparents over the age of 50 have provided regular childcare for their grandchildren, according to new figures released by our sister charity Age UK. This trend for grandparents playing an active part in raising children is by no means unique. Globally, millions of grandparents are raising children – often acting as the only parental figure in that child’s life. We have identified 3 situations where older generations are being relied on, more and more, to provide care – particularly in some of the world’s poorest countries. What impact is this having on children, local communities, and the older people themselves? Ebola is a devastating virus which caused considerable destruction when it swept through West Africa in 2014, killing over 11 thousand people and forcing many more into poverty. Over half of all deaths from Ebola in Sierra Leone were of people aged 15-44; the Ebola crisis hit younger adults particularly hard, as many of them had moved to find work in urban areas, where the virus could easily spread. Now, in the aftermath of the crisis, grandparents are stepping in to care for the children left behind. Theresa lost both her daughter and son-in-law to the disease. The grandmother is now raising six orphaned children. Age International invested money in Theresa’s cassava-cake business to help her support her family. How does Theresa spend the money she earns? ‘I invest in my grandchildren’s schooling,’ she explains. 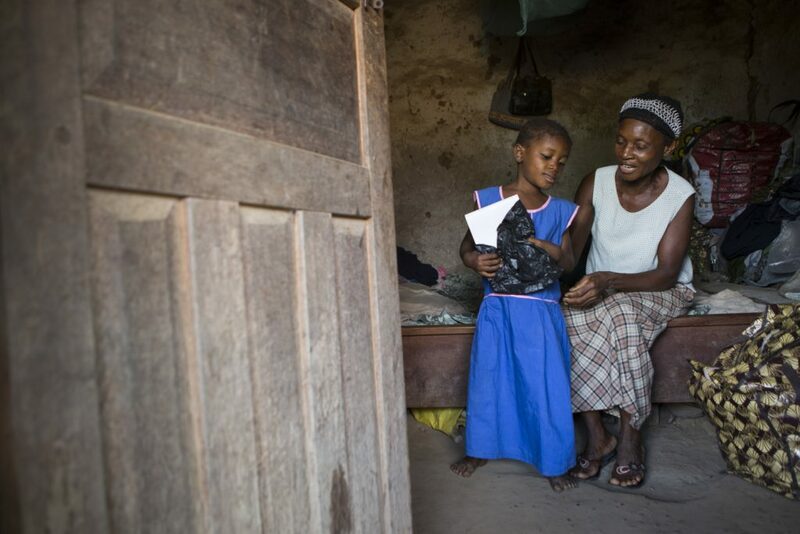 Making sure her grandchildren go to school is a very high priority for Theresa, as it is for so many of the grandparents we work with, who hope that education holds the key to a brighter future for their family. 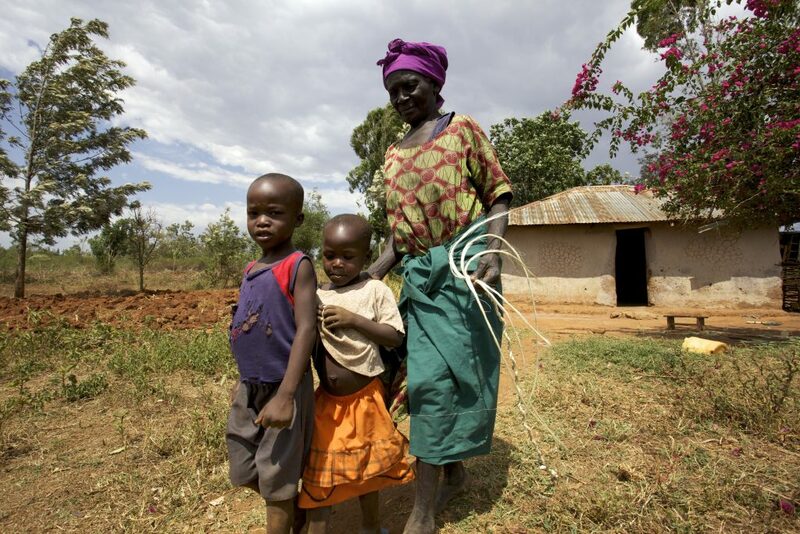 In sub-Saharan Africa, 11 million children have lost one, or both, parents to AIDS. In countries where there are few systems of support for orphaned children, the child-caring responsibilities fall on grandparents and neighbours. ‘I used to farm and earn a living, but now I cannot – I had a bad fall a few years ago. Now I sell charcoal at the market,’ the 64-year-old explains. The financial strain is considerable; there are no government support systems in place for grandparents like Brigita. Globally, only 1 in 4 older people are able to claim a pension. Investing in older people often means investing in children, too. 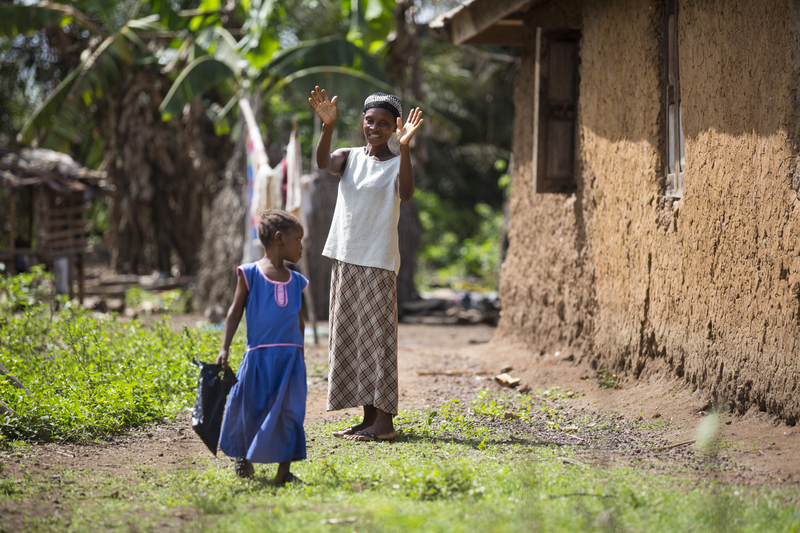 One study by our partner, HelpAge International, showed that girls living with a grandmother who receives a pension grow 3-5cm taller than those living in a household with no pension, due to their improved diet. Like most grandparents, Mama Brigita is completely dedicated to her grandchildren. ‘All the money I get goes to my grandchildren,’ she says, ‘I currently have four children in school’. It’s not just disease outbreaks that can devastate families and leave older people caring for young dependents. In some countries, many of the so-called ‘middle generation’ have moved to neighbouring countries in search of work. 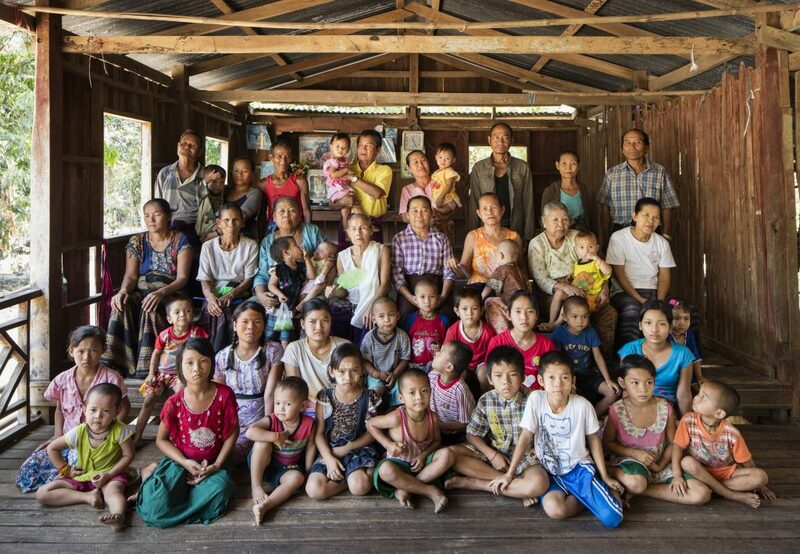 In Anan Pin Kone village, Myanmar, two-thirds of ‘working-age’ people are working in Thailand, where a single month’s wages are equivalent to an entire year’s salary back home. ‘People started going to work in Thailand in around 1988/90s when the border controls were relaxed,’ explains U Saw Po Kyaing, who has lived in Anan Pin Kone all his life. Now 33% of local families are grandparents raising grandchildren. ‘I am already old and I have to take care of a small baby,’ Daw Ma Kyi Lone, who is 63, told us. In the same village, we met Sue Paw, a young girl who has been looked after by her grandmother, Daw Lee Po, since she was 8 years old. She is now 15 and in middle school. She wants to graduate, become a doctor and stay in Myanmar. Sue Paw loves her grandmother, with whom she shares a close bond – but she also feels sad that the 85-year-old still has to work so hard to take care of her grandchildren. Now that she is older, Sue Paw is doing more to help out. ‘What my grandmother did for us is more than we can ever do for her,’ she says.